Speaking as an Englishman, there is a tendency to view national days with a degree of suspicion. We don’t really do them. At least not properly and not our own. Until recently, April 23 was arguably as memorable for being the day of William Shakespeare’s birth and death as it was for being St George’s Day. It just passed most of us by. 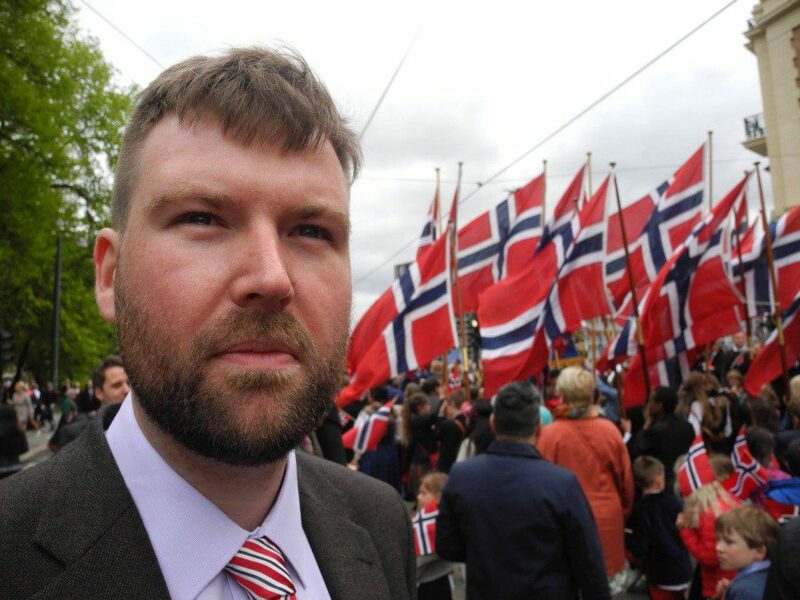 Yet, as an unofficial friend of Norway (or more accurately a man with a lot of Norwegian friends) I’ve had the pleasure of celebrating its national day more times than my own, in both London and Oslo. 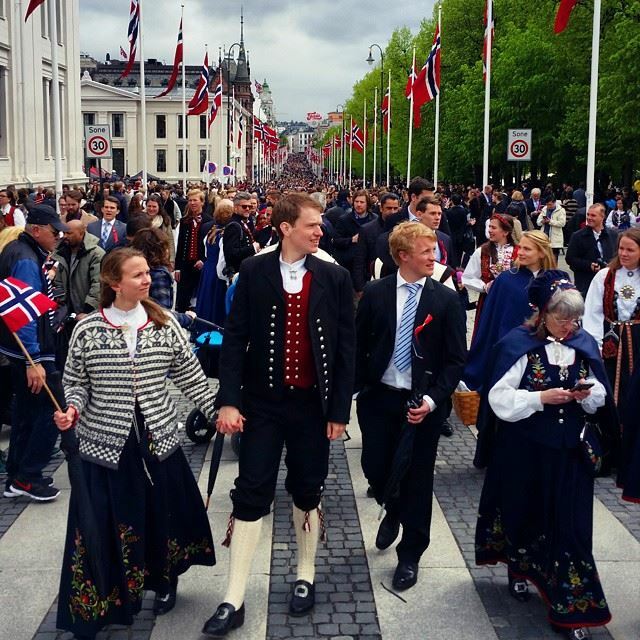 Although officially known as Constitution Day, as it marks the anniversary of Norway’s independence from Denmark, it is more simply and commonly known as syttende mai, after the day it takes place, 17 May. On the other 364 days of the year Norwegians are a fairly self-effacing bunch (aside from bragging about winter sports prowess) but on syttende mai an entire country embraces its national romantic side. Flags are everywhere. Oslo’s main street, Karl Johans Gate, becomes an avenue of red, white and blue. The national colours fly from flagpoles and are draped elegantly over shop fronts. They are also waved in the hands of the thousands who line the route of the parade of school children and marching bands. The parade ends in front of the Royal Palace and with a wave from the royal family on the balcony. On May 17 Norwegians also throw off the shackles of informality that society dictates and put on their fanciest clothes. In Norway this gives the impression of an entire country going to a wedding; a giant, nationwide one where everyone is invited. The sartorial showpiece is undoubtedly the traditional dress, the bunad. Though a relatively recent development, it has been fully embraced. Coming from a country with no national dress at all, it is difficult not to jealously marvel at the intricate embroidery, the shawls, hats, clasps and dresses. In short, the bunad in all its glory. Diverse and intricate, each region has their own traditional style but identifying which one is a near-impossible job. It’s a shame, then, that they dissolved the marvellously-named National Committee for Bunad-related Questions. Yes, this really existed. But for all the wonderful customs and clothes that are easy for anyone to love, even the most clued-up Nordophile will find some things baffling. Top of list of bewildering is the russefeiring or russ. This is an annual tradition and is difficult to explain in so few words. The key part here though is that May 17 is the last hurrah before these rowdy multicoloured-trousered teenagers (who are known as russ) sit their final school exams. In the UK, students are expected to use the weeks before their exams to revise. In Norway, not so much. The russ spend it in groups travelling the country – sometimes in buses designed and decorated especially – partying, undertaking frankly ludicrous and often disgusting dares and often causing havoc. Less confusing but nevertheless still a tad unusual to the outsider are the traditional dances, such as the halling. I first saw an exhibition of this dance one May 17 in Southwark Park, London’s unofficial Norwegian exclave for the day. It’s enough to say that what starts as a seemingly leisurely country dance ends with someone scissor-kicking a hat clean off a stick held six feet in the air. But, if you’re after fool-proof tips for blending in or even impersonating a Norwegian on syttende mai then look no further. Wear your finest clothes and a perpetual smile, wave a flag around and yell “hurra!”. And try not to miss the champagne breakfast. Or the hot dogs (pølser) or ice cream. Other than that? Simply do as the Norwegians do. Not planned any trips to Norway for the 17th? Do not worry, Norwegians always celebrate their Constitution Day, whether within or without their country’s borders. In the UK alone, there are multiple celebrations on 17 May, the biggest taking place in Southwark Park in London. Entry ticket costs £1, but make sure you don’t throw it away, since the number on your ticket may win you a prize from the lottery – for example a bunad or a cruise tour on Hurtigruten. You’ll find more information about the celebrations in London here. However, London is not the only UK city where Norwegians celebrate their national day. Come 17 May there will be celebrations at Princes Street Garden in Edinburgh and at Kippie Lodge in Aberdeen, as well as the smaller celebrations in Manchester, Liverpool, Glasgow and Kirkwall.